Relate: The Courtauld Institute of Arts is a branch of the University of London and considered one of the premiere places in the world for studying art history. On this campus there is a library, the Witt, which is the clearing house for proof of provenance of any and all major works of art. The only potential rival to this collection is LA’s Getty Research Institute which has a similar online collection called the PSCP. These aren’t studies or collections of art themselves. What the Witt Library holds and what the PSCP records contain are proofs of who owned what, when. You see, one of the major ways the authenticity or a particular piece of artwork is proven is through record of who owned it down through time right back to it’s original owner or commissioning. Often, the value of a particular piece can be greatly increased if it is proved that it was highly prized, sought after, or prominently displayed by certain connoisseurs and art collectors in the past. I’m not by any stretch the best art critic. My criteria for determining quality artwork is to look at it and see how good it looks. To be honest, I can go through a museum like the Met or the Guggenheim and some of the stuff on the walls… really? I could give a class of first graders some crayola crayons and then do or say something to make them really, really angry and these little rage demons could easily top much of what is considered art. Last time I was at the Met there was a film display of trash on the sidewalk being blown around by the wind. Really? People leave their trash out by my sidewalk all the time. Next time there’s a windy day I’m gonna take my camera out there and become famous. React: To me some pieces of art do not look like much but to the people that know, that stuff is worth a fortune. Sometimes I wonder if Rockefeller felt sorry for a street artist and started just buying up his stuff for a million each. Next thing you know everyone wants the guys stuff and what was a talentless street artist has become the greatest “genius” of his age. 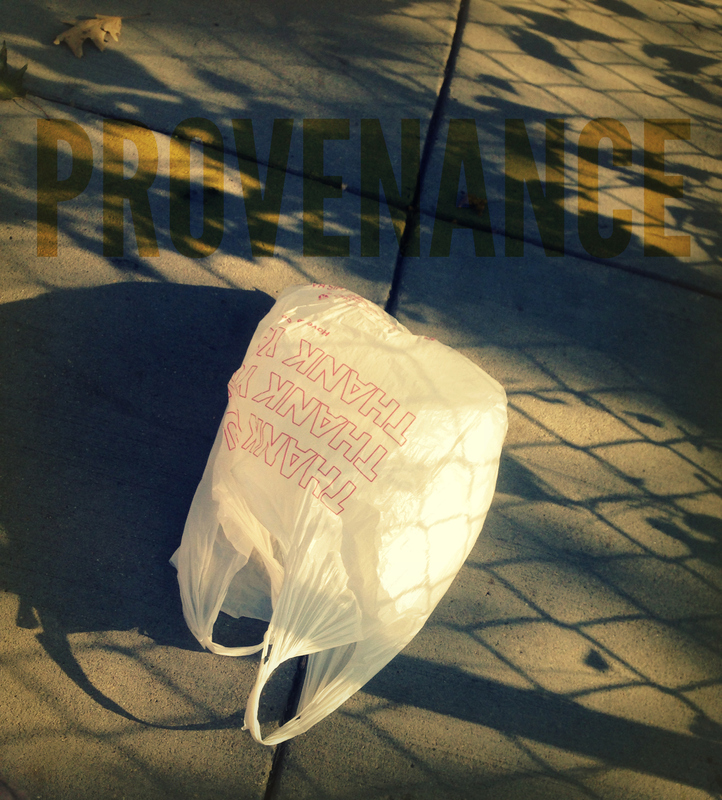 Provenance, ownership, is everything. My spiritual provenance is huge. I was highly sought after by the Holy Spirit, owned by the Father, and given to the Son. There can be no better pedigree. No matter how worthless I might feel, to those who know, to those that matter, I am priceless. God, I am Yours. Though at times I might feel as if I have no worth, though sometimes I might feel like a bit of trash being blown around by the wind, You love me. You treasure me. I may not feel like much, but You paid it all to have me. Now I am Yours. And that means everything. I feel rare by your words. You are so right that we need to know who we are in Christ. Our thoughts of ourselves and our thoughts of others can lead is closer to our savior or away. Rage demons? Could there be a better choice of words for children dealing with anger?